Photo: Two adult meerkats watch out for pups near a burrow. A meerkat mob is a matriarchal family, meaning females are the leaders. A mob will usually only have one "queen," or female who reproduces. 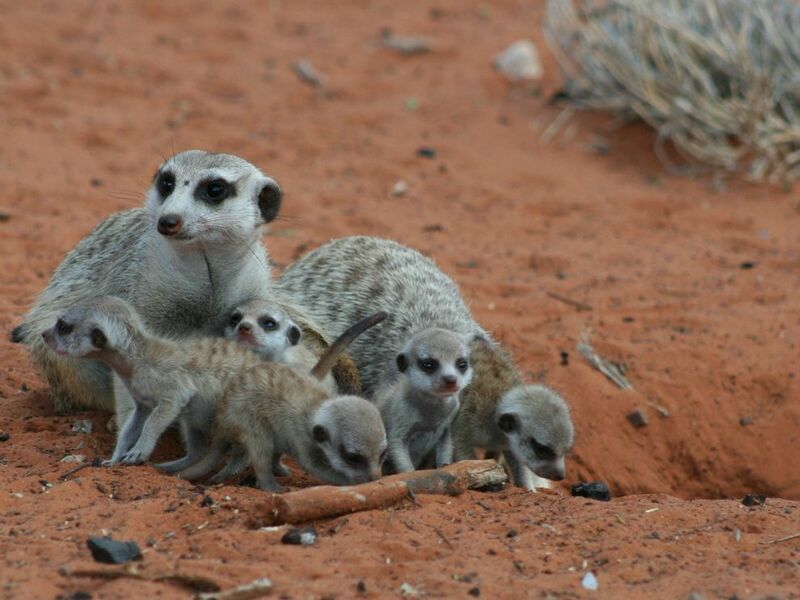 All meerkats care for the young, however, many serving as "babysitters" who watch the pups as they exit the burrow.